First of all, I’m not really a formalist, and I explain why in the episode. Also: why I’m not sure anyone really “is a formalist”. 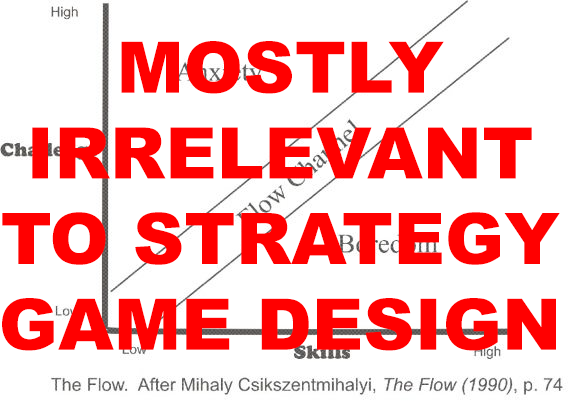 I talk about the “flow” concept that you’ve read about in almost every game design article and you ever read that wasn’t written by me. I also address a number of other topics, answer listener questions, and I even talk about some of my favorite podcasts at the end of the show. And as always, if you enjoy the show, please consider becoming a patron on Patreon.com! EDIT: I said that I would be talking about self-expression in games. I didn’t get around to it in this episode, but forgot to edit out the mention of it in the header. Apologies!